Start with herbs that are dried and brittle. Break them into small enough pieces to fit into a coffee/herb grinder either by hand, or by using a food processor. Grind the plant material into a fine consistency as you can with an electric coffee/herb grinder. Often there will be still some gravel-like chunky pieces left in the mix. 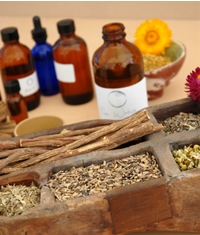 This may not be a concern when using the herbs in a body powder or in capsules, but for spices used in cooking such as cinnamon, allspice and ginger you want to be sure take the next step. 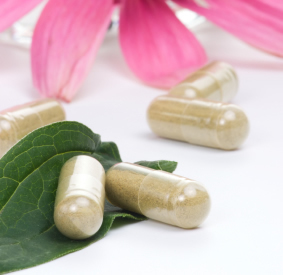 Making your own herbal capsules at home is not hard,and can save you money. However the best reason to do "roll your own" is that you can insure the quality and freshness of the material. Start with bulk, powdered herbs, or roots, seed and leaf that you can grind into powder yourself. (more trouble, but fresher). You will need to invest in a herb grinder, empty gel capsules, and a encapsulating device. I use the "Capsule Machine", from Mountain Rose and get good results.